Thaddeus S.C. Lowe was a balloonist who pioneered the world of aerial reconnaissance. 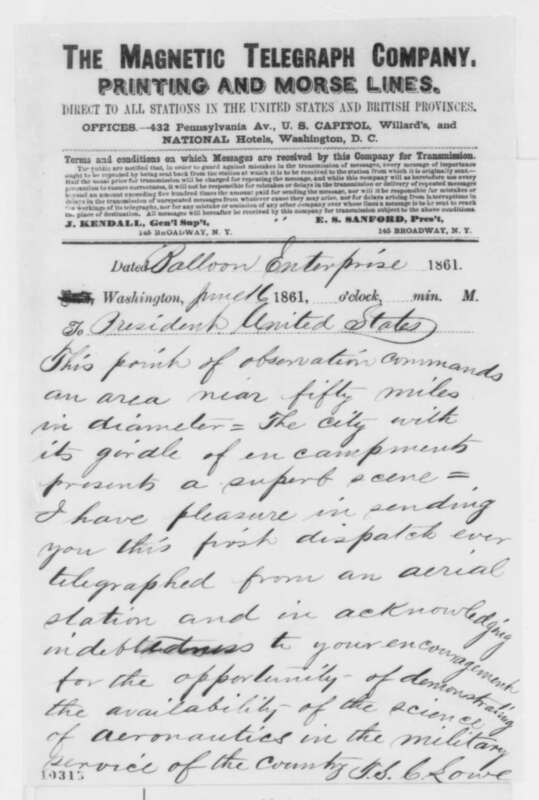 On June 11, 1861 he floated above the White House and sent the first aerial missive via telegraph. Two weeks later at Taylor&apos;s Tavern in Falls Church, VA, he made several tethered ascents, performing the first aerial reconnaissance in American military history. Lowe&apos;s earliest mission was gathering intelligence on Confederate troop deployment shortly after First Manassas/Bull Run. He made numerous other ascents in and around Fairfax County that summer, including a series of maneuvers between Fort Corcoran and Ball&apos;s Cross Roads (now known as Ballston) that drew the first rifled artillery fire against a balloon in American military history. A Prussian officer once took a ride in one of Lowe&apos;s balloons during the Civil War and was quite impressed. His name was Ferdinand von Zeppelin and he went on to develop the airships that bear his name.